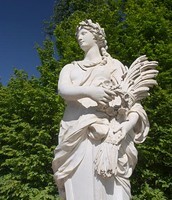 Demeter is often shown in sculpture, photo, and drawing holding wheat, corn, and a torch. creating an eternal winter because her daughter Persephone was kidnapped. When she was kidnapped she was taken to the underworld. In order to get her back Demeter agreed to let Persephone stay in the underworld for half the year (winter/fall) and be on earth for the other half (spring/summer). 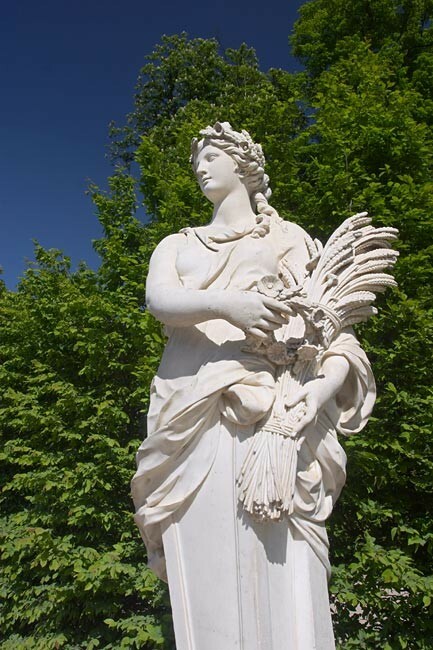 Because Demeter is the goddess of grain, agriculture, etc. she is often related to Thanksgiving. Thanks giving celebrates the colonization of America but also the harvest. 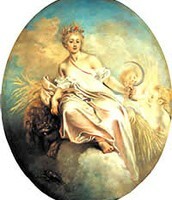 In Greek Mythology the harvest is due to Demeter. Atsma, Aaron J. 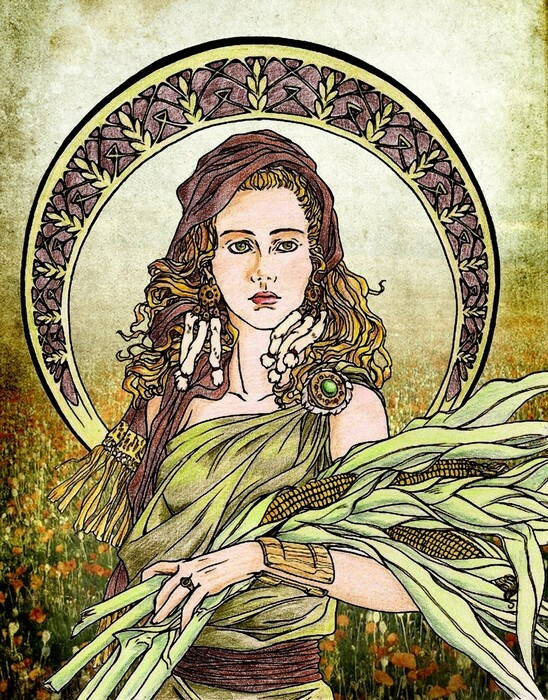 "DEMETER GODDESS OF : Greek Mythology." 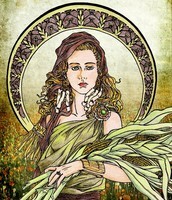 DEMETER GODDESS OF : Greek Mythology. Theoi Project, 2014. Web. 07 Nov. 2014. Bryant, Megan E. She's All That! 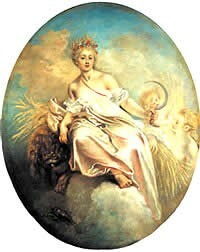 : A Look-it-up Guide to the Goddesses of Mythology. New York: Franklin Watts/Scholastic, 2010. Print. "Demeter." Funk & Wagnalls New World Encyclopedia. EBSCO Host, 2014. Web. 7 Nov. 2014. <http://web.b.ebscohost.com/ehost/detail/detail?vid=3&sid=c0c7065b-d2af-4a39-b08f-66346d39067a%40sessionmgr110&hid=110&bdata=JnNpdGU9ZWhvc3QtbGl2ZQ%3d%3d#db=funk&AN=DE034300>. Lindemans, Micha F. "Demeter." Demeter. Encyclopedia Mythica, 25 Nov. 2003. Web. 06 Nov. 2014.